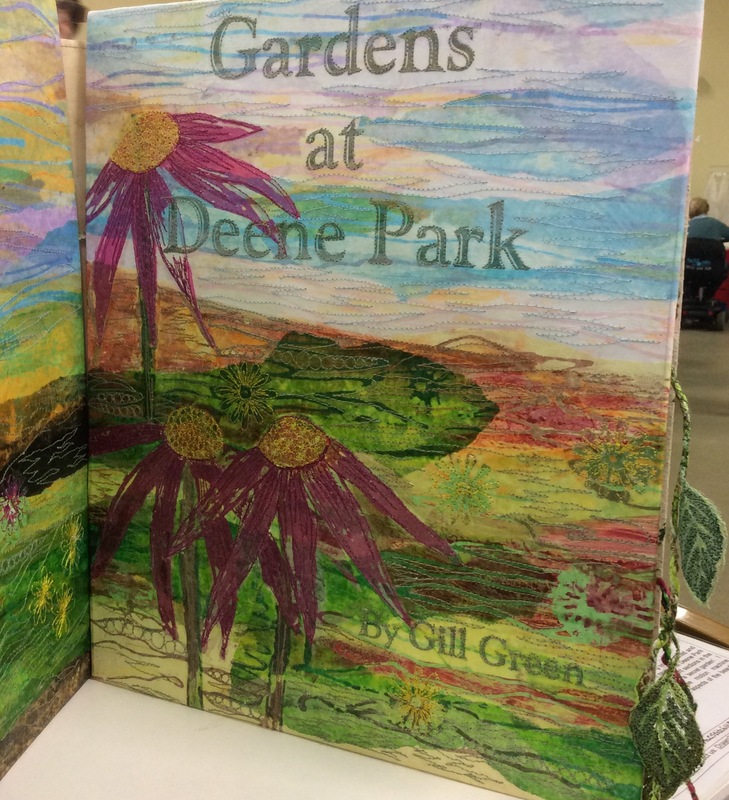 On Saturday I drove down to Leicester with my friend Rosemary to spent the day at The Big Textile Show. 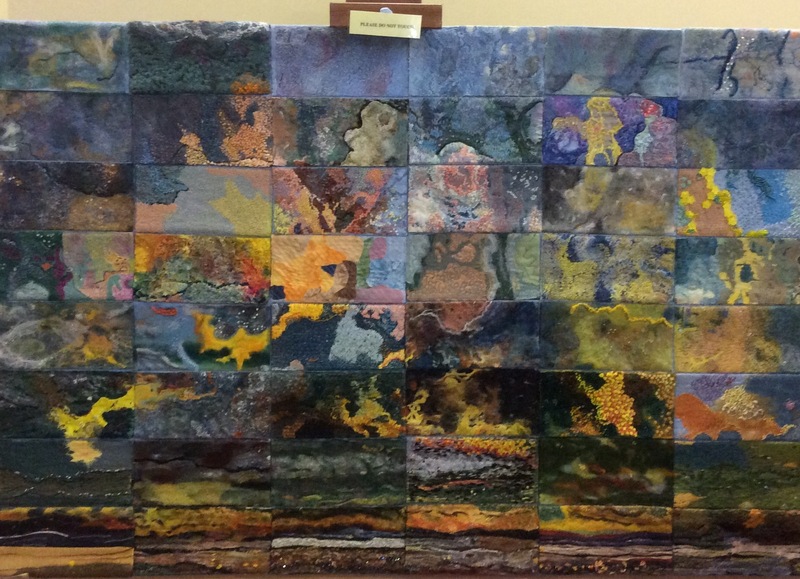 There were lots of interesting displays from various local textile groups and from individuals. 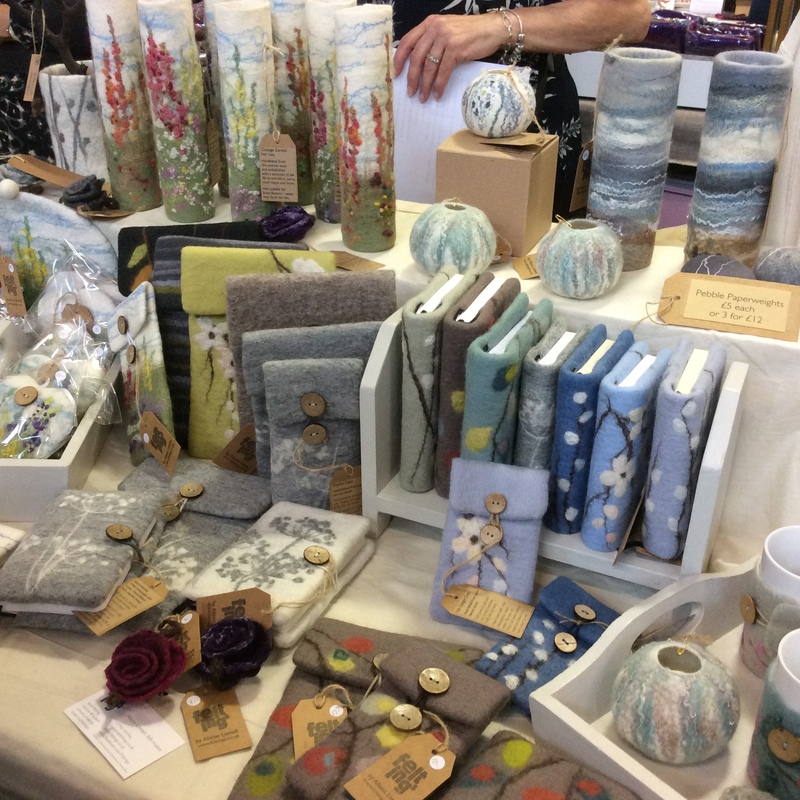 As usual the trade stands were well worth a visit and we managed to stock up on various things we needed including acid dyes from Adelaide Walker, Lutradur and all sorts of other goodies from Artvango and felting equipment from Alison Linnell. The bargain of the day had to be the hat block I bought from Alison. 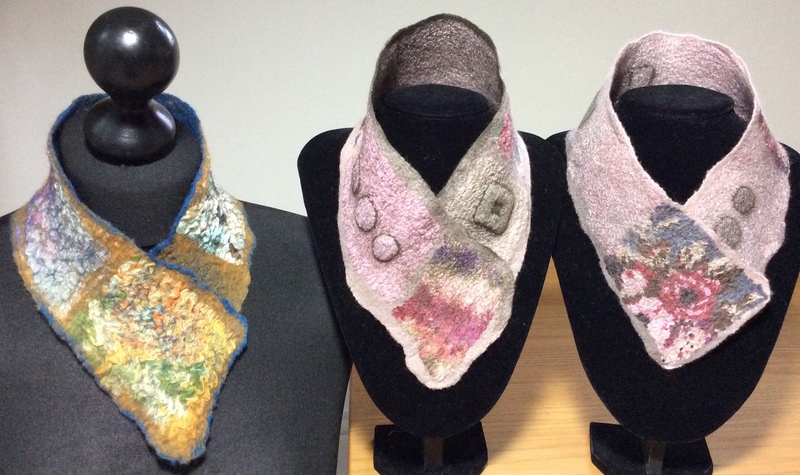 I’ve just signed up to do an online wet felted hat workshop with Teri Berry so this will come in very useful! 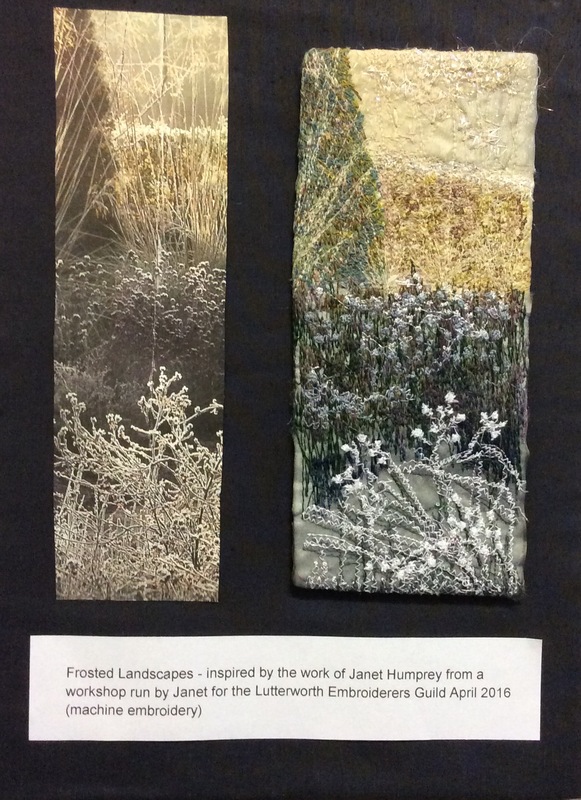 The most outstanding piece, for me, was created by the Lutterworth Embroiderers. 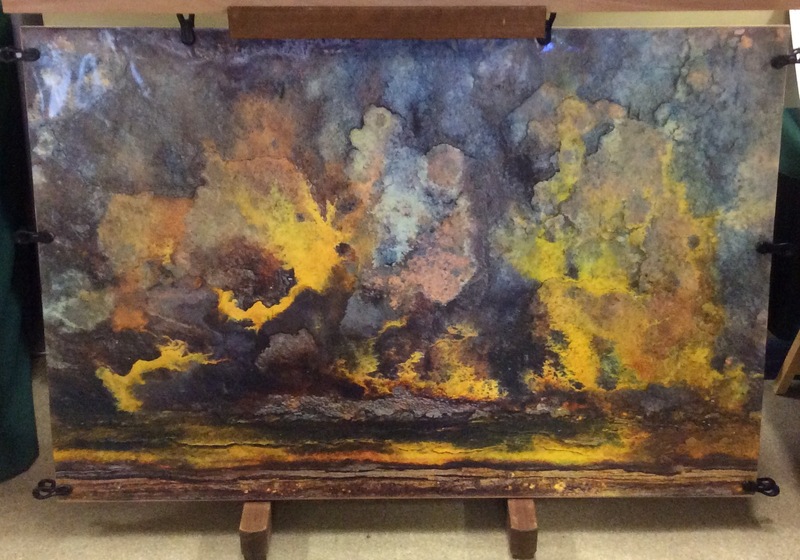 It was based on a photograph by David Hunter called Earth on Fire. With the photographers permission the image was enlarged and cut into 45 postcard sized pieces and distributed to the members. No one was shown the original image so had no idea of what it was they were working on until all the pieces came together at the end of the project. Now that is one project I would have loved to have been a part of! 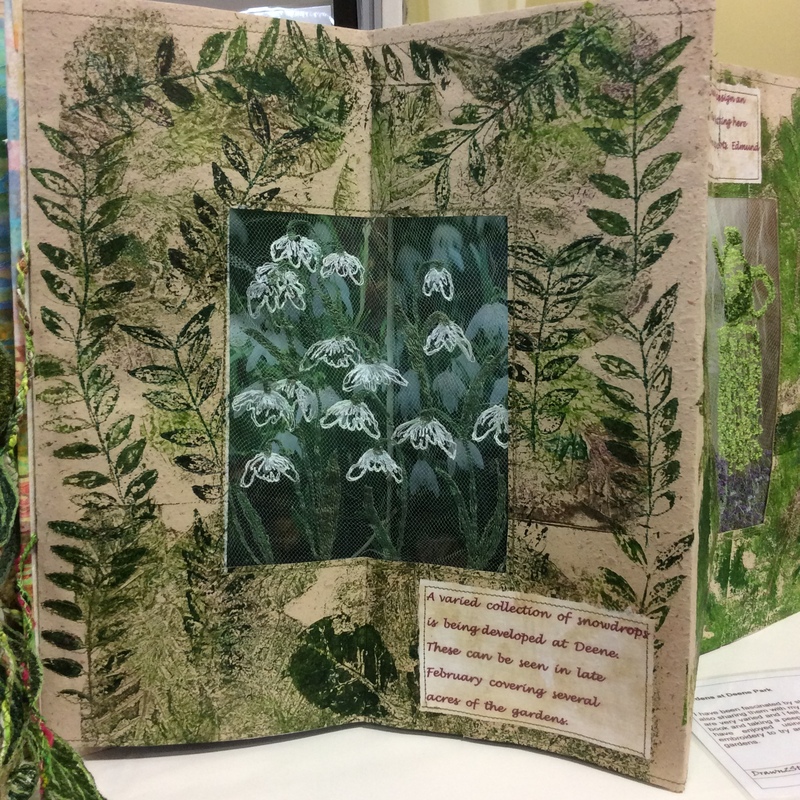 If you only click on one link in this post I suggest it’s the Lutterworth Embroiderers as their work is well worth seeing. Another local group I particularly like the work of is Jeudis. 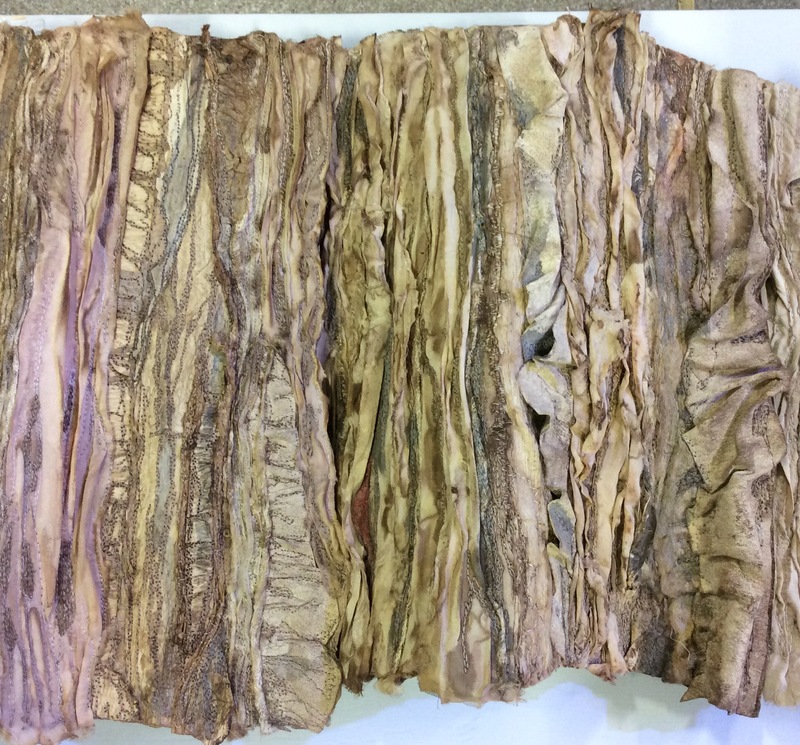 Unfortunately I didn’t make a note of the artists name who made this bark but it was beautifully done. ‘Bark’. 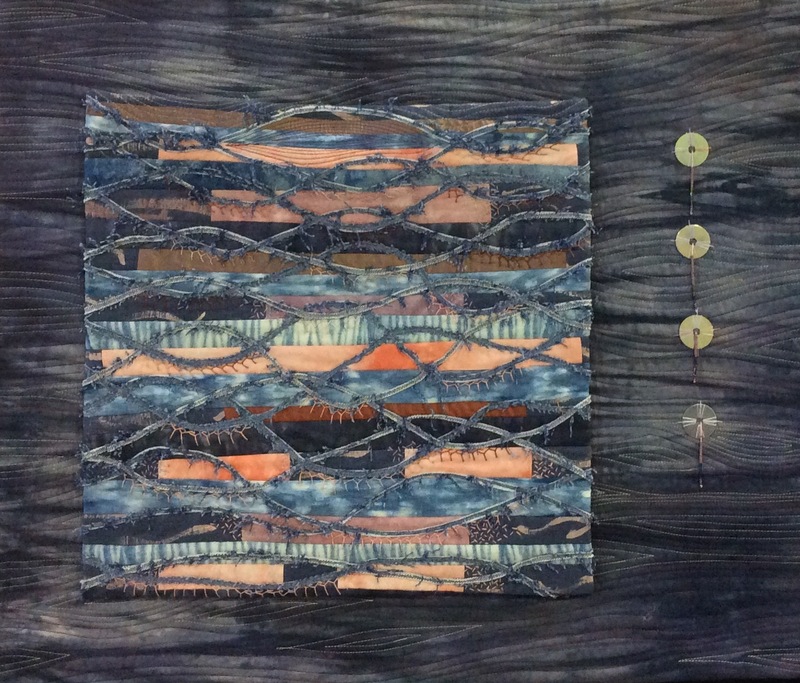 A mixed media piece by a member of Jeudis. 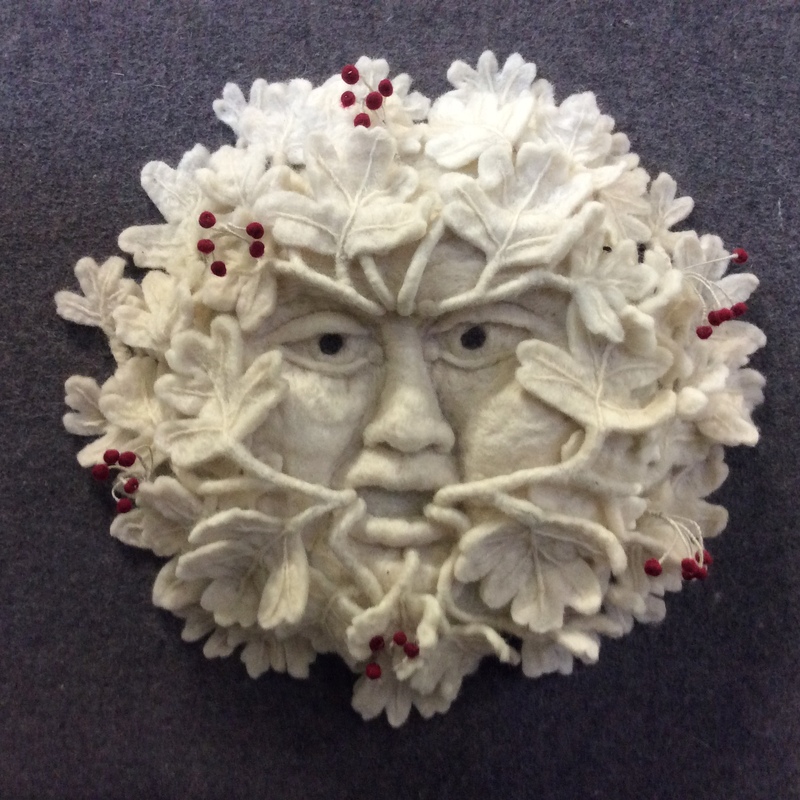 Green Man…..needled and wet felted wall plaque by Sue Walsh. 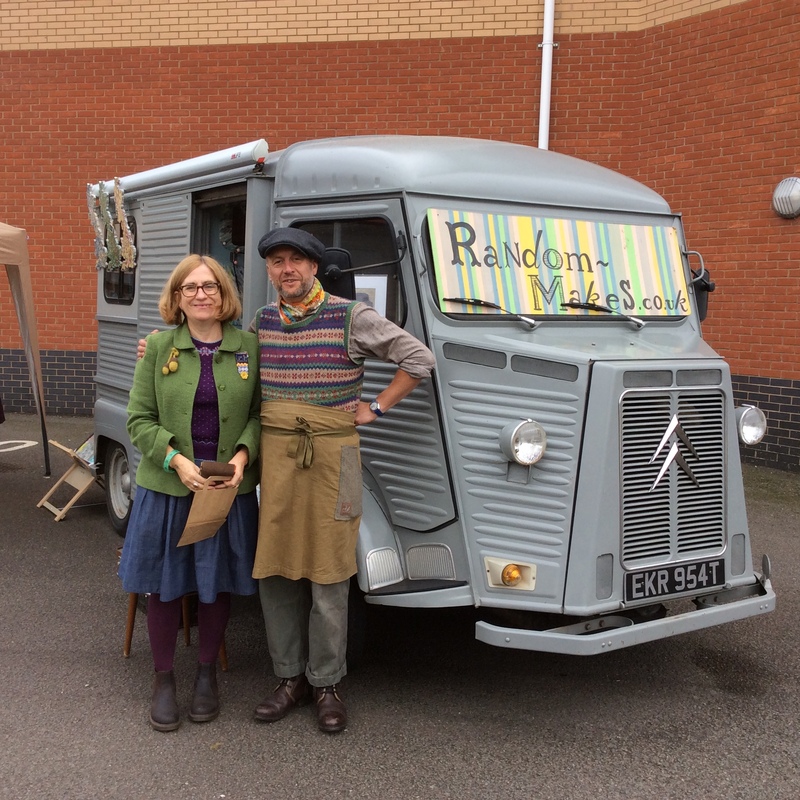 Last but not least we met Wendy and Simon from Random Makes who were parked up outside. Their wonderful vehicle and innovative products were creating a lot of interest throughout the day. 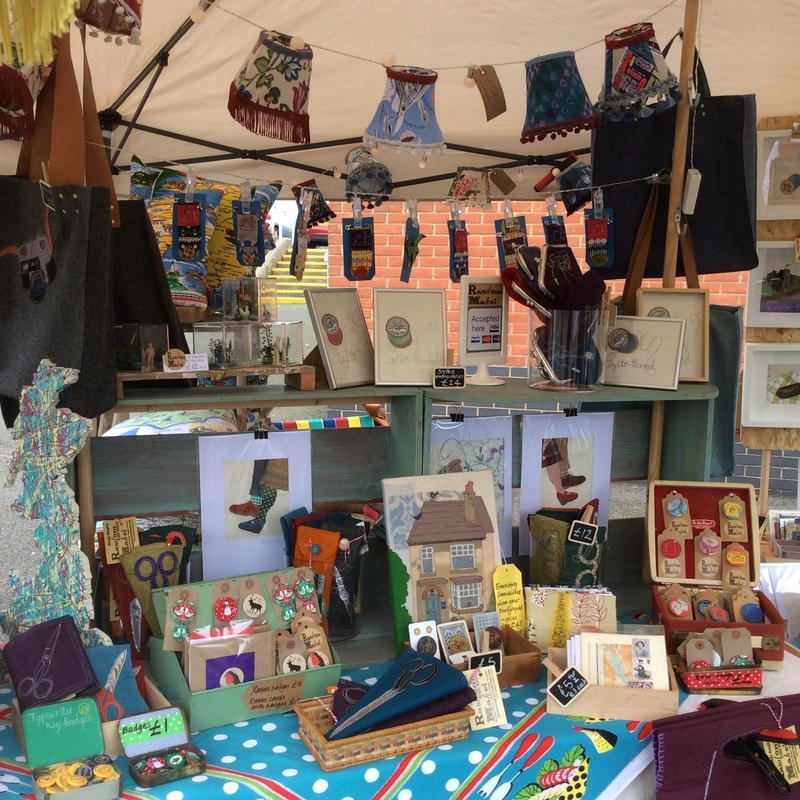 Random Makes bespoke handmade furnishings and accessories from vintage and modern textiles.